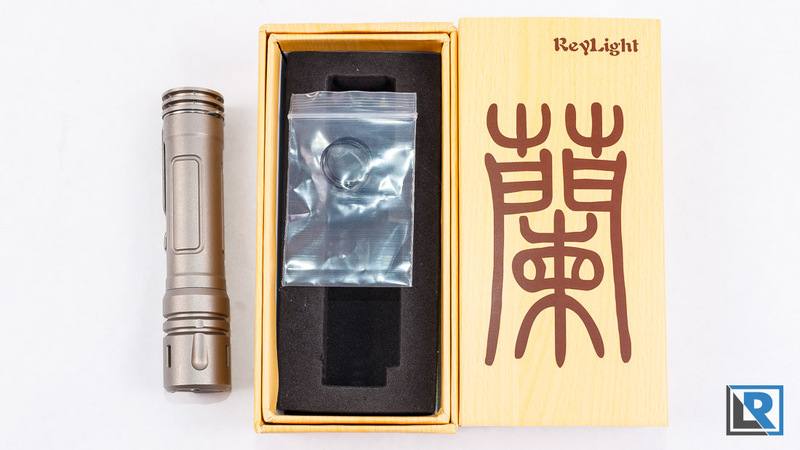 On my review table today I have the ReyLight LAN V3, and ReyLight Pineapple V3 both in solid copper. 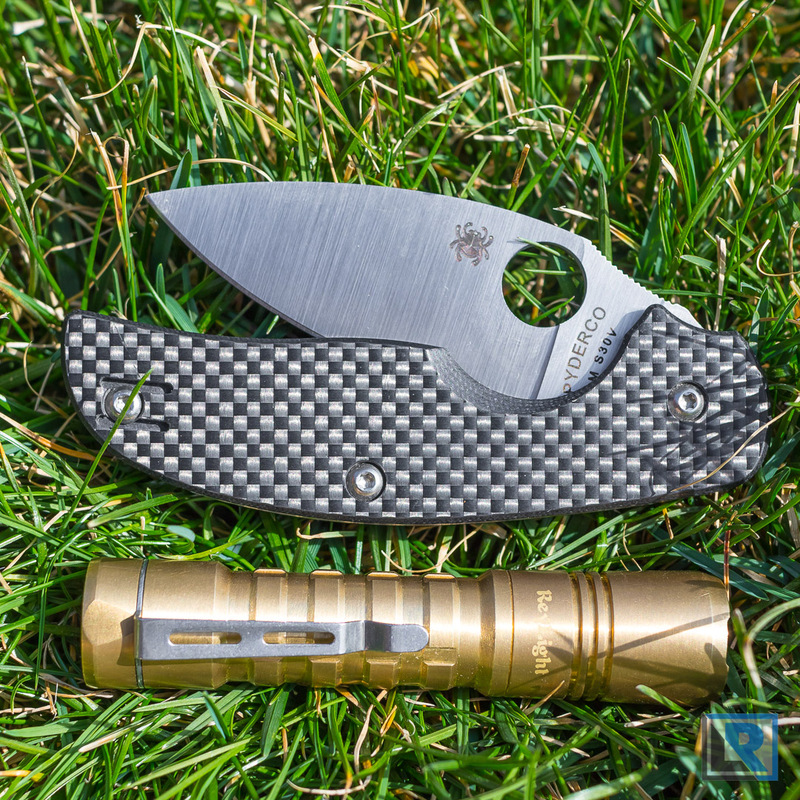 This light can use AA, or 14500 sized batteries and is designed with upscale EDC in mind. Thanks to ReyLight for sending them to me to do a review. Packaging is the same as the V3 Pineapples and Ti LAN’s. It’s a nicely fit box with a slip over sleeve printed to look like Bamboo. The Pineapple box has the light printed on the front in a wire form. The LAN box has the Chinese character I believe on the front. On the back is the FL1 Standard chart showing runtime and lumens with a 14500 and AA battery. The tells the simple instructions. Inside the light is held in place with black foam, and the only extra you get is the clip and 2 orings. These copper lights do come sealed in a bag to prevent oxidation. The big difference in these lights that instead of using titanium on the LAN, or Brass on the Pineapple, ReyLight has went with copper for both lights. The copper used on both lights has a very thin UV cured coating on it to protect it from immediate oxidation during production. This thin, I can smell the copper on my hands after handling it. With enough use it should come off, or I found that 100% acetone (Use it in a well ventilated area please, available in the nail polish area of your favorite big box store) will remove it with minimal effort. At the tail on the Pineapple, this is the same as the brass version, only a different material. Tolerances on the button are improved. I get less side to side rattle and none up and down. On my Copper LAN I have the optional rear bezel that can accomodate 12 pieces of tritium. Unfortunately it seems the tolerances on this part are not as good. I get more side to side rattle and some up and down rattle. This trit holder is also slightly larger than the body size of the light. Body tubes on both models are the same as their brass or titanium counter parts. The LAN has 3 rectangles milled for aesthetic design. The Pineapple rings provide some functional grip as well. The heads are the same on their respective models as well, no big change. Rey does have some GITD O rings that can be put on the exterior of the head on the LAN for added effect. Both lights feature a bezel that let’s light escape when face down. One thing to note is that to change the battery, on the V3 lights, it’s the head that’s designed to be removed, and the tail stay in place. Ti LAN weight without battery was 64.8g, Copper LAN without battery was 109.5g. Brass Pineapple without battery was 93.7g, Copper Pineapple without battery was 98.6g. ReyLight offers a choice of LED on these two copper lights. The standard LED option is the Nichia 219C in about 4000k with 90 CRI. Optionally there is the Cree XPL LED at 6500k. In my lights the Nichia is in the Pineapple, and the Cree is in the LAN. The reflector is the same in each light, with a medium orange peel, and double anti reflective coated glass. Beam pattern is very similar, and in my opinion good for EDC. The hot center is a medium size and fades out to a moderate amount of spill. Personally I prefer the Nichia emitter myself because of the warmer tint and higher CRI but it’s nice to see Rey is offering options. When using a 14500 and running on high the light can get fairly warm. The V3 driver does contain basic thermal control which is an improvement over V1 and V2. For my runtime tests I used a protected button top Keeppower 14500 800mAh battery. Both lights use the same driver, and are very similar physical designs, so rather then compare to each other by model I am going to compare the two different emitters since that is the main difference between the two I own. Either model is available with either driver. The Nichia emitter total runtime was about 95 minutes. Turbo lasted for just a couple of minutes, before the light took a step down due to thermals and ran at a declining 50% relative output with a steady decline that was fairly linear. At the end the light did a brief step up before low voltage protection kicked in. The Cree XPL emitter had a very similar pattern. Total runtime was shorter, at a total 75 minutes, after a few minutes the lights stepped down to slightly above 55% relative output and its curve was a little more steppy, not quite as smooth. At the end the light did step up briefly before low voltage protection kicked in. This is the 3rd generation of the Reylight Driver. With the Nichia emitter it has, moon (0.2 Lumens), Low (8.5 Lumens), Medium (90 Lumens), and High (470 Lumens) with a 14500 battery, along with memory mode. On a AA Moon is 0.2 Lumens, Low is 3.2 Lumens, Medium is 30 Lumens, and High is 130 Lumens. A 14500 really wakes this light up in terms of output.. I am a big fan of the ReyLight Pineapple and LAN series of lights for EDC. I like the 14500/AA form factor for EDC. It’s enough light to be useful for EDC tasks without being too large in a variety of front pants/shorts pockets. While not the thinnest light in this class I don’t find it to be too large either. The Clip was reviews for V3 of these lights making it a bit more substantial. I have not had a bending or catching problem with this design. It carries reasonably deep in the pocket too. The gap that the clip provides on the light is required, if you want to run without a clip Rey sells a small titanium washer to take the clips place. Almost Raw copper, the coating is super thin (Can still smell the copper though the coating) and easily removed with acetone, but will stay in place if you want to preserve the untarnished look. The LAN has a new optional tail design that’s slightly larger but with 12 places for Tritium, the total light holds 16 trits. LED options, including a warm, high CRI Nichia emitter. Pretty affordable for solid copper. Tolerances with my fatter 14500 batteries (KeepPower) are tight in the battery tube. You need the help of a strong magnet to remove them on the LAN, the Pineapple body tube isn’t quite so tight. Olight’s 14500’s work well as do Enloops and Duracell rechargeable NiHM batteries. This got better as I took the batteries in and out a few more times. Some button rattle on my LAN with the optional tail to hold a larger amount of trits. The ReyLight copper LAN and Pineapples are very similar to their previous Titanium and Brass models but now with Copper as the material. While copper is heavy, it’s not so much extra weight that I notice a difference when either light is in my pocket. I like how they carry in my pocket, and I love the 14500 tail click form factor. I love that I can easily strip the coating off the light and have it patina. I plan to do that with my LAN for sure. The only thing I can fault a little bit are the tolerances. The battery tube seems slightly undersized for my Keeppower 14500 batteries and sometimes create a bit of a vacuum when trying to remove cells making it a little more difficult. This has gotten better the more I remove the battery from the light. Button tolerances are something that has been the achilles’ heel of the Pineapple and LAN designs. While things are mostly better the button may bother some people. Personally it doesn’t bother me, especially for a custom style light at this price point. Despite this the ReyLight LAN and Pineapple are for me one of my most carried models of lights on a daily basis month over month because of the size and function. For me it just works really well and they are one of my favorites. I also think they are a great value for a entry level custom light. I am glad to offer copper to my brass and titanium families.I am looking forward to building that copper patina over the next few months. 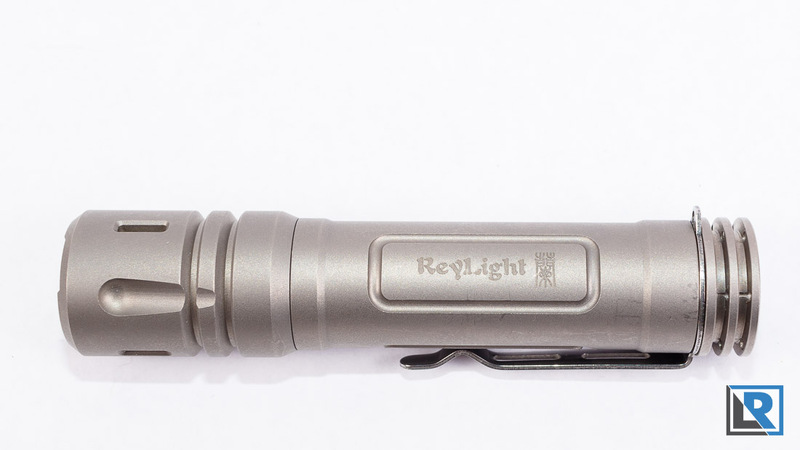 Today I have the Reylight Ti Lan on my review table. Thanks to Rey at Reylight for sending me this light at a discount so that I could review it. The Ti Lan shares many of it’s features and design characteristics with the Reylight Pineapple so if you like it you will like the Ti Lan and save a few ounces. The Ti Lan is made from beautiful titanium alloy that has been bead blasted as it’s finish. I like this because I think it shows fewer scratches because it’s bead blasted. This can be debated but the Ti LAN is also offered in a polished titanium. The machining is good and the finish is uniform. 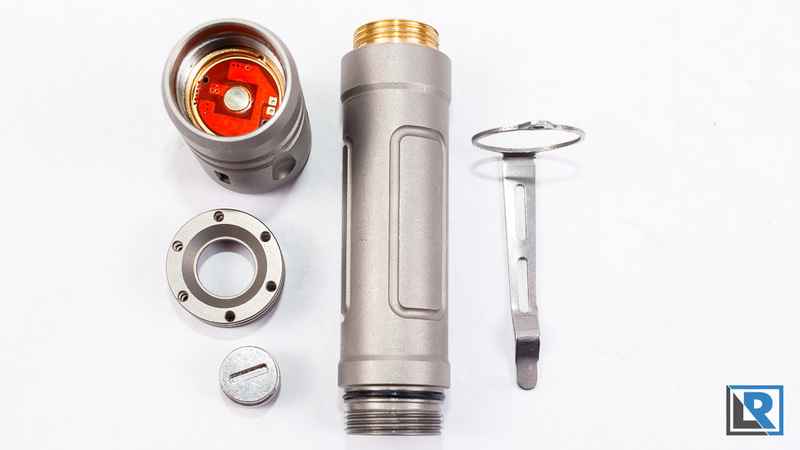 The TI LAN differs from the Pineapple the most in the design of the head https://i.imgur.com/T1DHpD6.jpg , battery tube and tail piece with space for 6 tritium vials. https://i.imgur.com/CyKY2js.jpg This one has 3 round side panels and on one there is a light surface level etch of the logo. Threads are nicely cut and plenty of them. When installing the battery, instead of unscrewing the back of the light I would recommend unscrewing the head and installing the threads that way. https://i.imgur.com/fB6N0M0.jpg My Ti Lan kind of disassembled itself when I unscrewed the rear cap. I will put a little locktight on the threads to solve the problem. The lens has a very light orange peel, and the glass is hardened with antireflective coating. 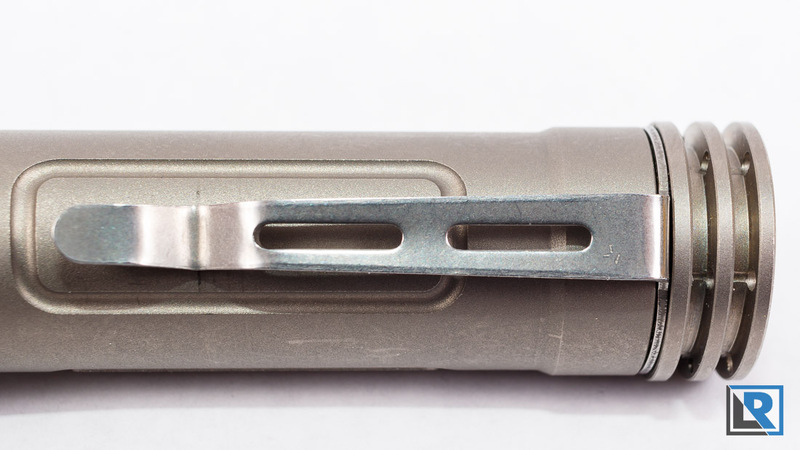 The rear piece of titanium does unscrew to remove the clip or to aid in Tritium install. 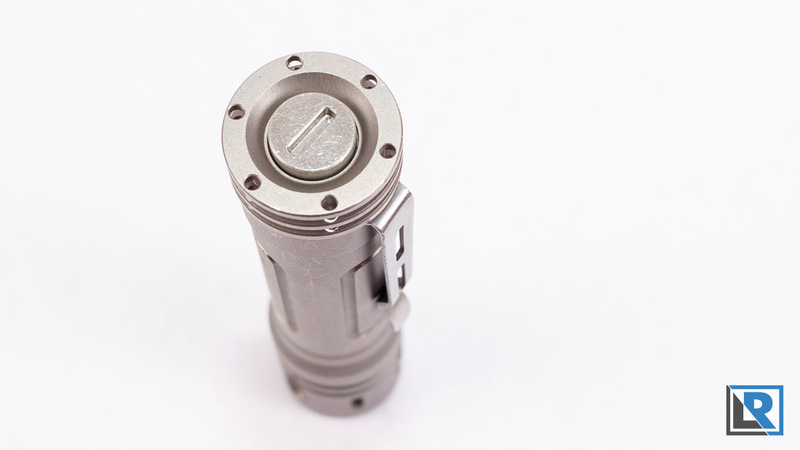 This light has really been designed for Tritium inserts all over. There are a total of 10 cutouts on the light. 3 are on the body of the head https://i.imgur.com/T1DHpD6.jpg , you have 6 through holes in the bezel https://i.imgur.com/0d3YMbn.jpg of the tail cap, and 1 in the on/off switch cover itself. If you are unfamiliar with Tritium, it’s a radioactive form of Hydrogen gas. It’s used in Flashlights, high end watches, and firearm sights enclosed in small glass tubes that are lined in phosphorus. While the titanium saves some weight, this isn’t a super light weight flashlight for it’s size though. All measurements are without batteries. This light is a tail click, that tailstands https://i.imgur.com/4JJnsqM.jpg. I have not had any issues with it turning on accidentally in my pocket. The LED in use is the Nichia 219C in neutral white. This isn’t the highest output LED but the light quality makes up for that in my opinion. It’s probably a high CRI but this isn’t specifically stated. Light color is similar to my BLF 348 which is high CRI. Neutral white is just really nice and high CRI provides more accurate colors. I will trade these over more lumens anyday for every day practical use. I don’t have any major issues with the pocket clip. https://i.imgur.com/khtWeXJ.jpg It fits pretty well on my pants pocket and stays in place. It’s a capture clip, and non reversible. If you were to remove it, it would leave a visible ring on the light. I do wish it was slightly deeper carry as I do with most knives and flashlights but it’s not too bad. I don’t care for the nib opposite the clip for a lanyard but this can be fiiled down. No lanyard is included and it’s a very small hole. The light is IPX-4 water resistant but i did not test that. I did bend the clip once during carry but this was my own fault. I was able to take it off and bend it back on the table pretty easily. The Ti-LAN has a new box that I like quite a bit. https://i.imgur.com/YcP7dTm.jpg It has your lumen and runtime chart and basic operating instructions. 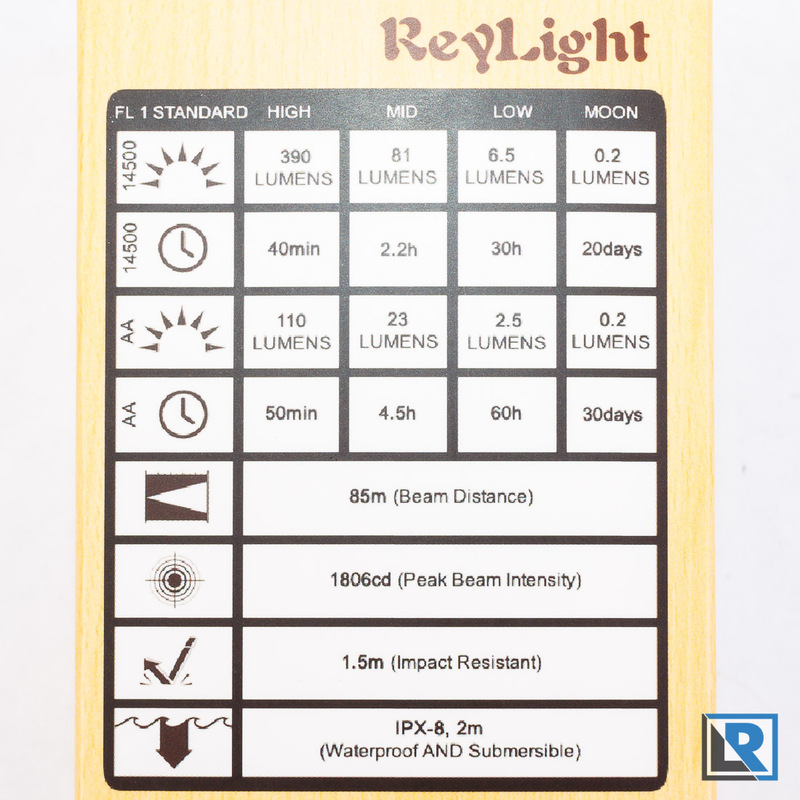 Considering Reylight is a very small company its’ very nice and does the job well. This is a really nice EDC light in my option. It’s not tactical, but instead super practical and definitely attractive looking. It sits well in my pocket and is comfortable to EDC, and a lot of that I attribute to being a nice diameter. I am a Titanium fanboy and I really like how the bead blasted finish looks. 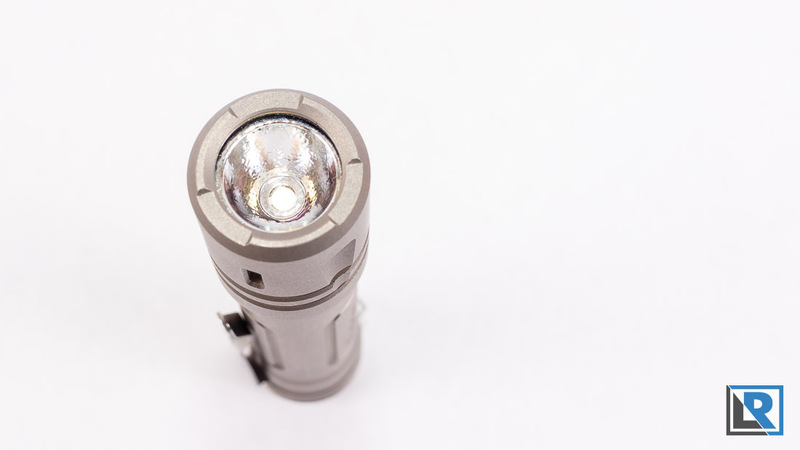 With a AA battery or NiHM battery the performance is behind the curve, and about what you would expect out of a smaller non neutral white AAA light. However with a 14500 the performance is pretty good, combine that with the neutral white high CRI LED and a tail switch this becomes a great EDC in my opinion. The Ti LAN is now available available on Amazon with Prime shipping. 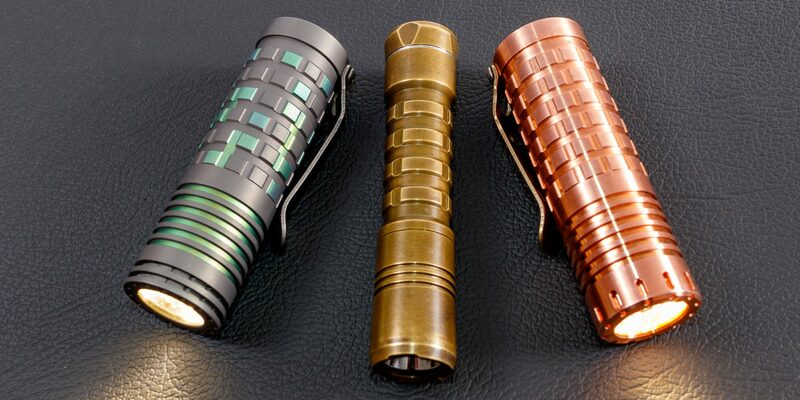 It makes it fast and easy to get a great elegant EDC light. 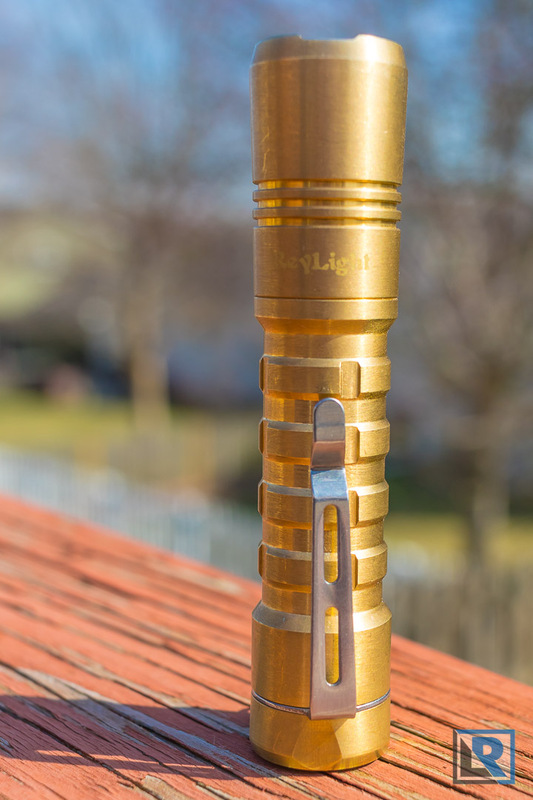 Here is my video review of the ReyLight Brass Pineapple. 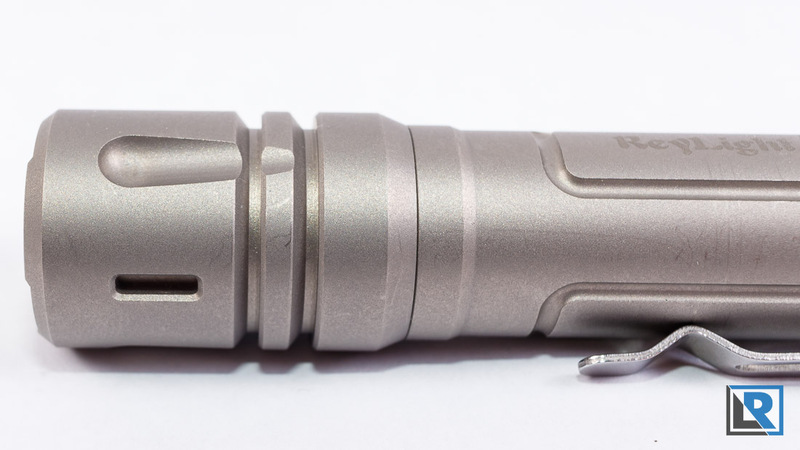 It’s a great EDC flashlight in Neutral White, and high CRI. I definitely recommend using this with a 14500 battery for increased performance. It’s truly one of my favorite EDC lights I have at the moment. The Brass is a little heavy but it’s a price I am willing to pay for its great looks.